We've hit the quarter-of-the-box point... a quick reminder, 17 teams still left in the Gypsy Queen break! Hurry, before yours gets claimed! Plenty of great teams left! I will say, another great photo from Topps. In some sets, they have really used some great photography this year. If they aren't going to give us real "game-changers" they may as well give us great photography. We're still a week away from our first auto... but it'll be worth the wait! Alright, go sign up, you know the deal... so I'll throw this deal out there... if you claim a $17 or $25 team, you FIRST additional $10 team is only $5. That enough of a deal to get additional entrants?!?!?! Of course we can't have a set from Topps without the Mick. This is a refractor numbered out of /562. 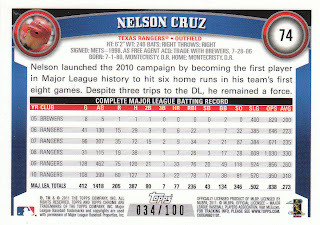 Don't know much about this kid, but hope he's the next Nolan if I end up holding onto this card! Well, I had a question posed by jaybarkerfan, can multiple teams be claimed in the group break? Why certainly they can and I encourage you all to do so! Each team claimed beyond the first will be give you a discount. Once I'm ready to collect the cash, I'll let you know exactly how much you owe for your total claims, so go sign up and grab multiple teams! A couple of decent rookie cards and Mauer... for the sake of the Twins I hope he can bounce back. They've got a lot of money invested in him. I still have no clue what his exact injury is but he's gotta get back to his former self soon! And now we have our first colored paralled! 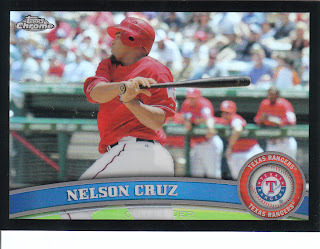 A black Nelson Cruz numbered 34/100! 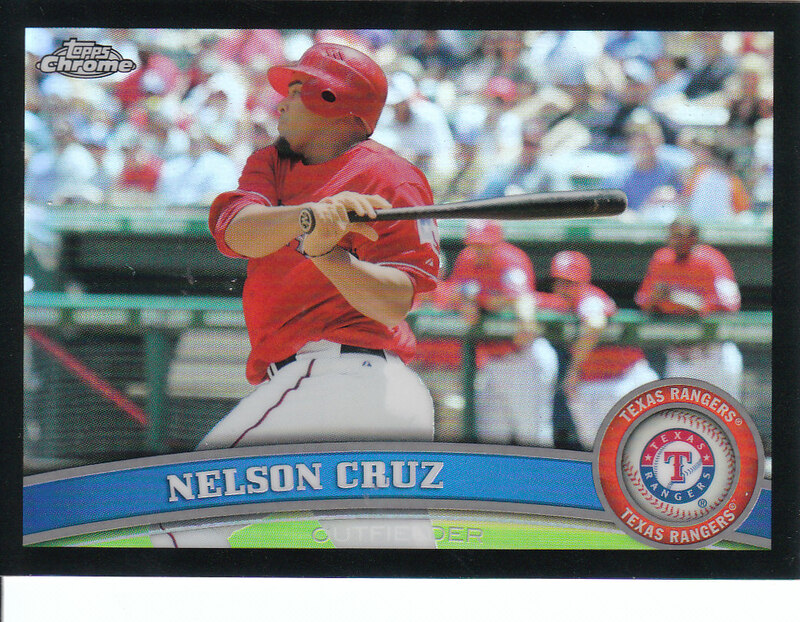 I am posting them in the order I opened them, so I was really hoping that I'd be able to post this as "World Series hero" Nelson Cruz, but alas those darned Cardinals found a way to win it... still this is an awesome card! I love the horizontal layout of the card, and a great photo. There's the serial number. I still don't understand why the black parallels are numbered to 100 and the blue are numbered to 99. What's the big stinkin' difference? 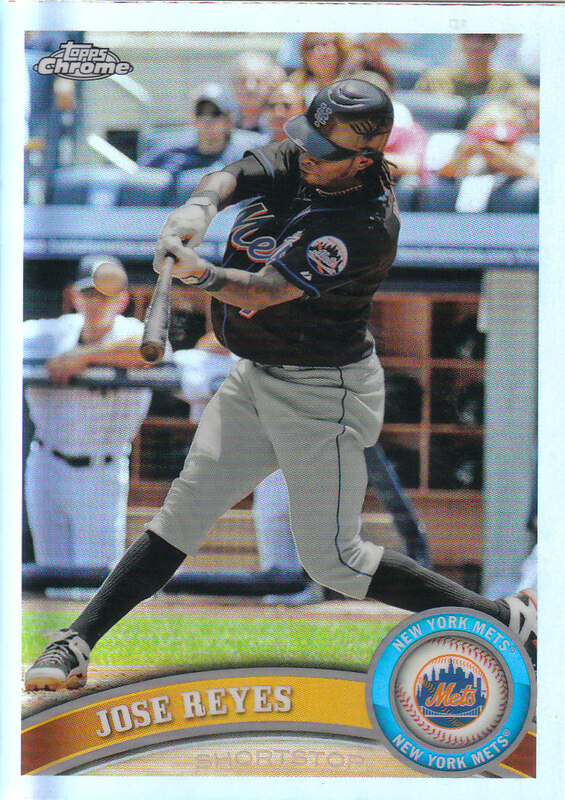 Whatever, I like low numbered parallels and at least this card isn't of some "Mr. 26th guy on the roster" filler. Hope everyone is enjoying this box break. It has been very trying of my patience so far and we're only 4 packs in. Hopefully I can keep up this pace without driving myself insane. 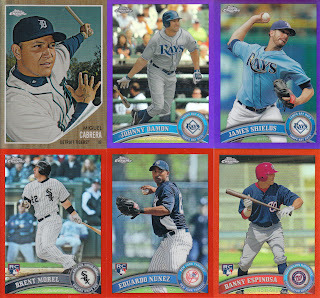 The Miggy is a refractor 562 and then the purples are out of /499, any Rays collectors out there? 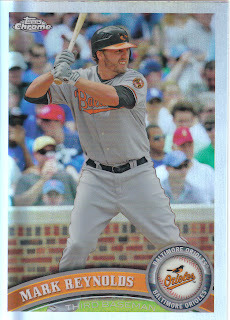 Then there are the orange refractors, which I haven't decided if I like yet or not. They are odd... and unnumbered... I feel as apathetic towards them as I do the base refractors or xfractors. Well, while I'm at it, I'm also going to throw in a trade post with Spankee over at My Cardboard Mistress. He recently busted a bunch of UD A Piece of History and I got the hits from the Astros and one of the Hollywood cards that my wife wanted... he also sent along some additional inserts and Astros cards, thanks Spankee! Paulino has had an up and down career and we traded him to Colorado a while back, can't remember what we got in return but it may have just been a prospect swap. 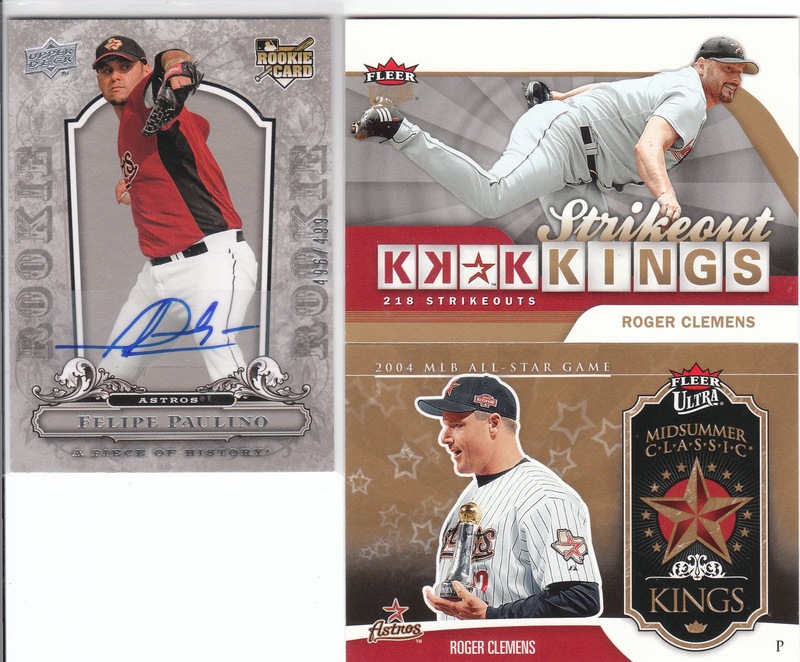 I always forget to mention that I collect Clemens stuff, any hits and any Astros cards. 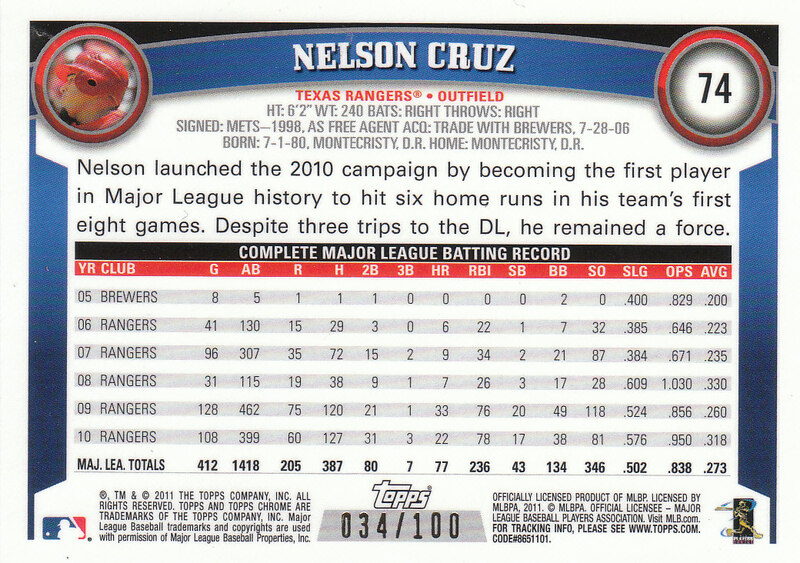 I still think he had a great career, regardless of whether he used PED's or not, still a great player. Much like Bonds, I think they both would have been in the HOF without needing to use the PEDs. 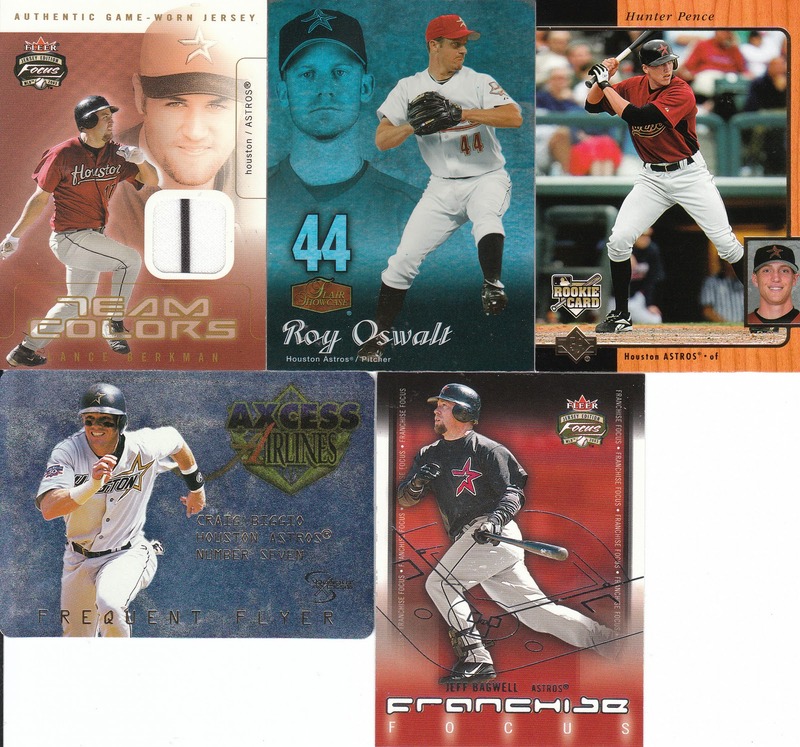 A Roy Oswalt card that I don't have already! Seriously, I have 3 pages in my binder of Roy stuff, so it's always nice to get one that isn't a duplicate! Which I have several of, so if any of you Roy fans out there want a jersey card, they can be had cheap! Finally, a piece of "Mel's" pants from We Were Soldiers... not "Mel Gibson", but just "Mel". For some reason UD didn't go through the hoops to be able to use the names... whatever... still cool to get some Hollywood memorabilia for the wife! Spankee, you're a good man! You cards will head out as soon as I make sure there aren't anymore Chrome cards I want to include! Strasburg lives! I'm really hoping he does come back from the injury and has a great career. For the sake of baseball and for all the hobby members who have sunk thousands into his autos and RC's. Have a great Fridy every one! By the way... on all these Chrome posts, the base cards are not for trade unless you notice it's a duplicate as I am putting the 220 card base set together. All refractors will be for trade as will both the auto's. Wow, for one pack of cards, that sure is a lot of typing... have a great day everyone! Ok, so the sign ups for the Gypsy Queen case break are going pretty much exactly like I thought they would, non-existent. I'm not upset, I just know that each team is quite a hefty chunk of cash and I certainly don't blame anyone for shying away. I need to sell all of these slots in order to make the case break work, so if you pimp this group break on your blog, you can take $1 off your price. I know it's not much, but that's about all I can offer as I kept the cost as low as possible for everyone. Daddyohoho and Jaybarkerfan, since you both put a claim in on the case break, I'll carry over your claim for this break unless I get an e-mail/comment from you otherwise. I guess I've been sending out good karma lately...??? A nice selection of past (first six) and current/future Astros... That one on the bottom middle is actually Wandy Rodriguez, yea he stole some younger kid's identity in order to appear younger, what's new... hopefully the bottom three are mainstays in the line-up for years to come but I have a feeling Wandy is going to get traded this off-season if Ed Wade stays around... Thanks Wes! Your generosity is noted... if there is ever anything you see on my blog that interests you, please speak up! The Bagwell relic is just sick, as are the base and serial numbered cards Kevin included! Awesome! Speaking of generosity, I'd be remiss to not include my good buddy Andrew. I don't remember exactly how we got connected online, maybe it was FanBro.com... but regardless I got an e-mail the other day that simply asked to verify my physical address, that he had some cards for me. 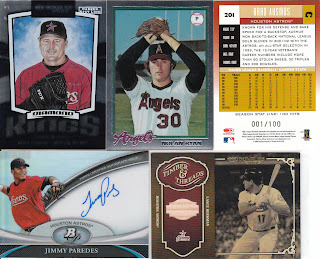 I was thinking, "Sweet, some random Astros and maybe a few cards from my want list!" Well, I was more than amazed when I opened the package to find some GREAT cards! 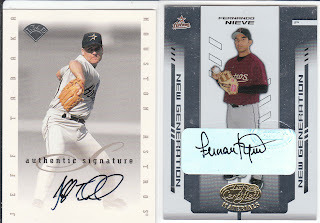 Nice vintage Astros... those rookie stars never panned out, but then again we're talking Astros baseball, what's new? A SWEET Joe Morgan ORANGE SWATCH!!! WOW! Ok, everyone should know by now that I'm not fan of Mr. Morgan, his views on baseball or his claims of racism in the Astros organization, but that's a pretty card! The Pence is a refractor numbered to 499 and I am definitely a fan of the Martinez auto. I think he's got a nice career ahead of him! 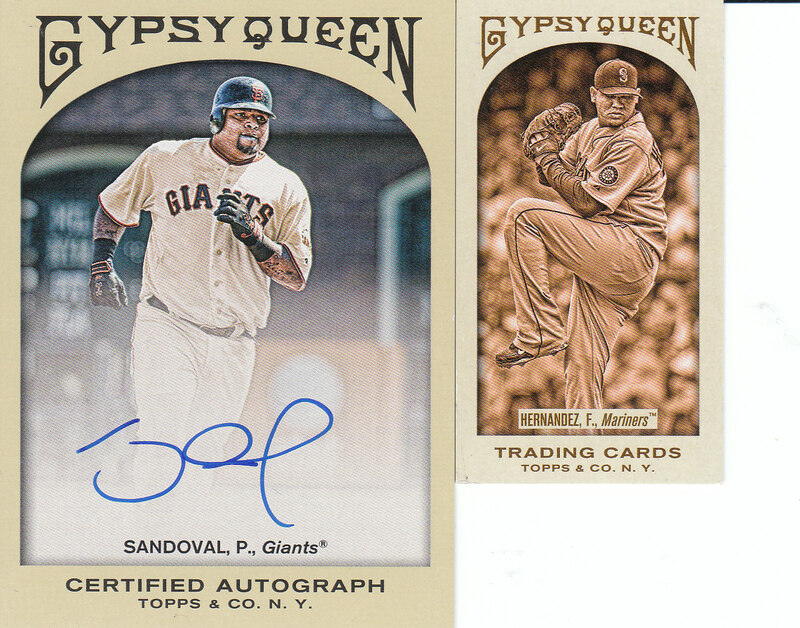 A finally he send along some Gypsy Queen from my want lists! If anyone isn't aware, I'm trying to collect the mini's set as well as the base! I'm getting closer and closer on each! Andrew, you're a good man, I do appreciate it! I hope you can get in on one of my group breaks soon as well (he sent a note saying he hopes to get in on one). Thanks again friend! Next up, some cards from the good guys over at Community Gum. 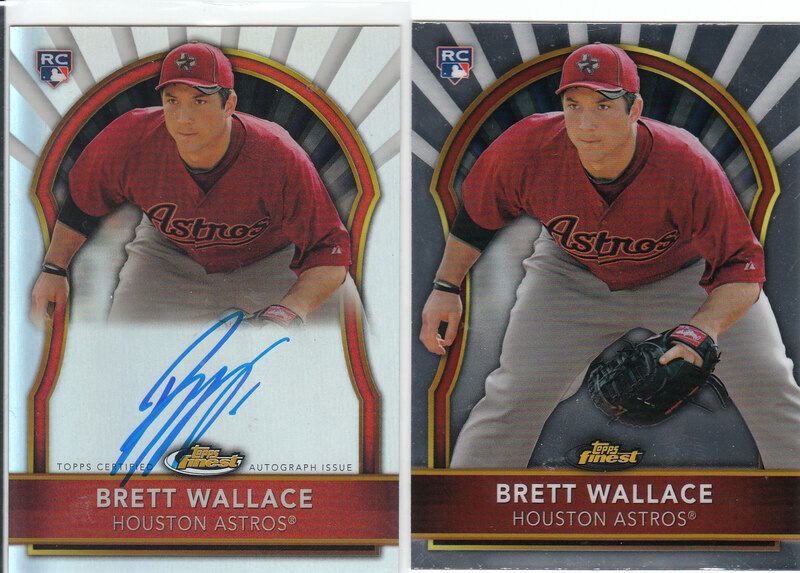 I sat in on them busting a bunch of Topps Finest boxes and kept prodding them to pull a Brett Wallace auto... well, in the end I got pretty much a team set of the base plus what I was hoping for! Thanks guys! Brett's A.D.D inspired autograph. The guy is just too busy to write out his full name I guess... who knows, but I have wanted one of his auto's and finally got one! Sweet! That's Jake McGee of the Rays. Eduardo Nunez may be an auto to hold to see if he has future value, as he's a nicely hyped Yankees prospect. 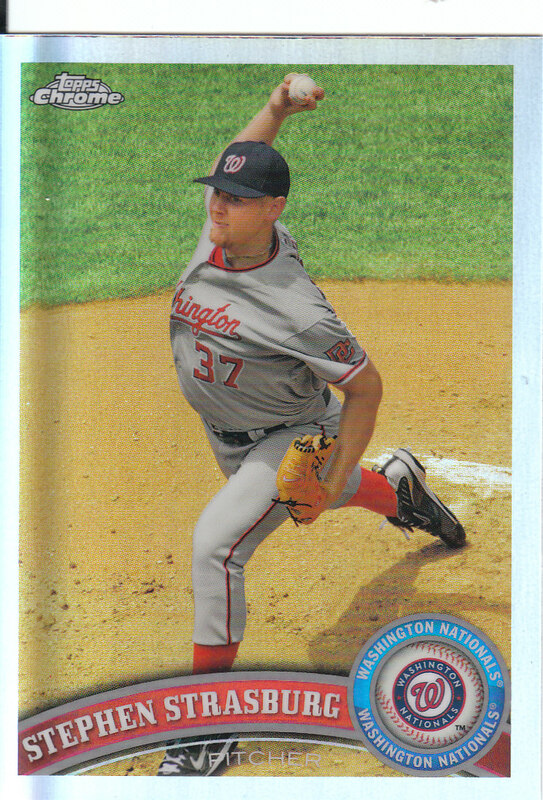 The Aaron Crow card is just sick. Numbered /50 and just a sweet looking autograph! Any Rays collectors? Anyone got a Cubs plate of any kind to swap for this one? I ask this because while I was in the shop, a guy was busting about 20 boxes of Bowman Chrome (I'm not exaggerating, he throws serious cash on cards) and he pulled a Brett Wallace black plate and said he'd trade it to me for a Cubs plate if I could find one... well, I'm putting out the call, if you'll trade me a Cubs plate of any sort, I'll greatly appreciate it! An AWESOME auto from an AWESOME set... Gypsy Queen, to me, is the cream of the crop from 2011 Topps' offerings. I love it. I wish it wasn't so scarce right now. I buy whatever I can whenever I see it. It's borderline addiction level right now. I'm even considering having my card budget for next year key in on Gypsy Queen only in my attempt to complete the sets I'm working to complete. 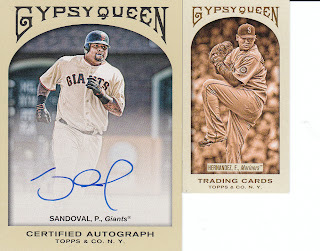 On that note, I am going to throw this idea out there... on the poll I put up, the most votes were for a case break of 2011 Gypsy Queen. Now, I've broken down the complete set by team. A case currently runs about $1900 for 10 boxes. I've weighed the teams by total cards available and possible hits... I would need to sell all 30 teams + there will be a slot dedicated to the Gypsy Queens & Will & Kate possibility. I would probably buy this slot myself as I'm trying to collect them all. I need to know specifically how many people would be interested in this. The top range of prices would be around $130 for a few select teams and as low as $28 for the Indians. Anyways, if you'd be interested in this style of break let me know. Thanks everyone! So, there you go everyone, as soon as I get the pack in the mail, I'll do a complete video showing the opening of the package and subsequent pack of autos. Have a great weekend everyone! I'll have a post some time in the next day or two with some overdue trades, stuff I got in the mail and some other cards... hope everyone enjoyed the group break! First of all, a bit of housekeeping... the majority has ruled... 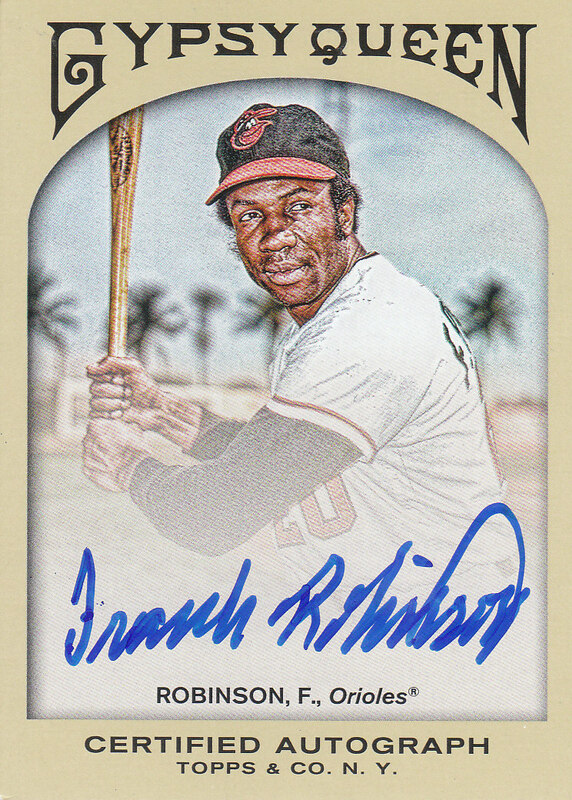 I will redeem the Collegiate National Team auto redemption card, and randomize the 5 cards among any people who did not get hits. Further details will emerge (including a wrinkle I'm going to throw in out of my own good will) to ensure that all participants get a hit out of this break regardless (except maybe for myself depending on how the randomization spits out). The randomization will be held by a fellow blogger (since I am in it, yes there's the broken suspense, I did not get a hit out of the 4 boxes) once all 4 videos have been posted to avoid it looking like I rigged the randomization or whatever. Again, more specific details later... but for now, here's the second video! And so the group break begins... with a bonus blaster! Well everyone, I started the group break a bit early with a bonus blaster... hope this doesn't influence anyone to not swap 2nd teams, but there wasn't anything really spectacular pulled, so enjoy! The boxes will be here Monday so hopefully I'll have the first box posted Monday night... leave a comment here if you have a preference on what the first box to open should be, Lineage or Chrome! 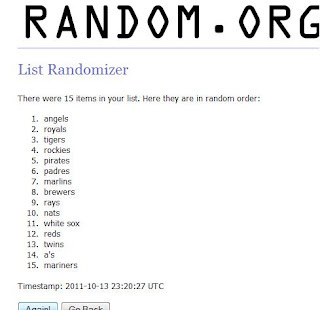 14) Blue Jays & Athletics- Robert M.
Until the first of the 4-box videos are posted (ignore any "bonus" boxes or packs), feel free to trade teams as much as you want, just make sure both of participants get with me either via e-mail or comment so I know you both agree to the swap! Thanks everyone for joining in! Can't wait to get this break started! 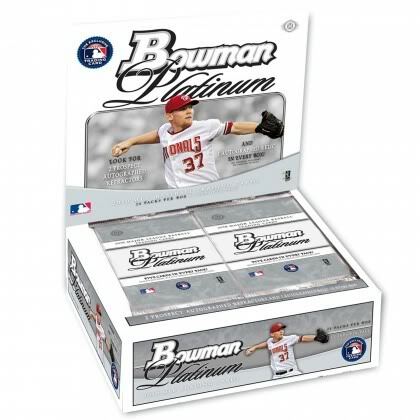 Well everyone, I'll chalk up the Bowman Platinum as a learning experience! I consulted with quite a few of my fellow bloggers and well, I came up with a better break! 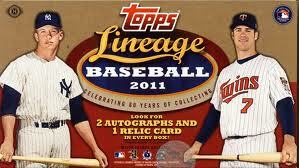 We're going to bust 2 hobby boxes of Topps Lineage and 2 hobby boxes of 2011 Topps Chrome! This will be at least 10 hits, if not more should I find some blasters to throw in as well. This will be a two team-er! You'll get 2 teams (one picked by you, the other by the great technological marvel known as RANDOM.ORG!) all for only $20 per slot! 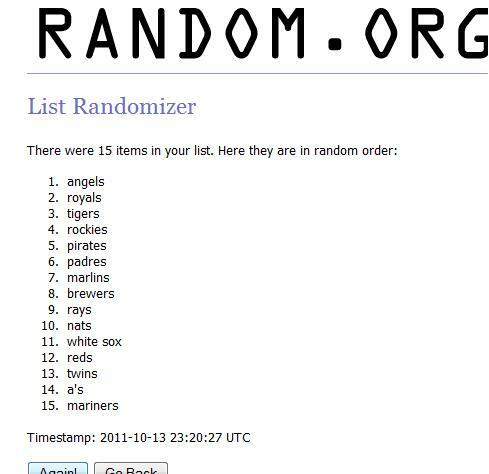 I'm going to be claiming the Astros of course, so go ahead and leave a comment with the team you would like to claim! First come, first serve! Leave a comment with the team you'd like to select. If you'd like to claim a second team, it's only $18 for each team after the first. Once I get to 15 slots sold, I'll randomize the remaining teams! Send $20 to paypal address samuelpair(at)yahoo.com - please send as gift, don't include any other info, as apparently paypal is cracking down on gifts lately. Thanks everyone! 15) Diamondbacks - Nathan - Payment arranged. Break is closed. Randomization tonight. Payment due by noon tomorrow please! Well folks... I've gotten the itch again. Time for another Dimwit Group Break, this one sponsored by Atlanta Sports Cards! 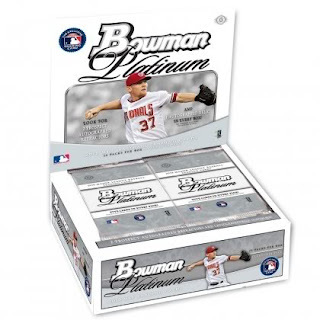 This time I am just about out of Upper Deck products to bust so I will go back just 1 year for a 6-box case of 2010 Bowman Platinum. It has a GREAT autograph checklist and this will allow for at least 24 hits as each box guarantees 3 plus a late addition redemption program. There will be 24 slots with some teams grouped to try and guarantee sales of those teams. All Collegiate National Team cards will be given to the team who the player CURRENTLY (as of the day of the break) plays for, I will use BaseballReference.com and milb.com to verify team designations. If the player is out of baseball then the card will be randomized among all teams. Cards with multiple players will be randomized among the teams on the card. There will be a total of 24 hits from the boxes. Additionally, provided that there is a complete 100-card base set available beyond everyone getting a team set of their slot team(s), I will pull a complete set and randomize that off amongst all participants (EXCLUDING MYSELF). If any SLOT happens to not get a hit AND you did not get the complete set, I will provide a list of QUALITY hits from my personal collection to select a hit from. You WILL get a hit from this break, I personally guarantee it! Big name autos in this product: Jesus Montero, Strasburg, Heyward, Trout, Ackley, Drabek, Chapman, Howard and tons more... here is a full checklist. Payment can be sent to samuelpair(at)yahoo.com via Paypal; please leave me your mailing address in the comments within Paypal. If you need to pay via snail mail please contact me via e-mail and we can make arrangements. Leave a comment on this post to claim your team. First come first serve. If I do not have your payment or have arrangements made within a week of you claiming your team, I will re-open the team to others who may be interested. Thanks everyone! The Berkman jersey is just plain sweet. Got a couple of Hunter Pence rookies. I love that Biggio insert as well, and since it didn't have a true corner, no DING! Thanks Johnny for another great group break. I hope life settles down a bit for you and we get to see you blogging again. Man, if Mier can get his swing down, we've got a nice SS prospect in the system, a bit of a gamble but I thought it was a nice looking card. And some trade bait... this one will get some offers I do believe! There were a couple of Beckett's from the early 90's and then a couple of the Classic brand card game packs. The wife and I might bust those open and see if we can actually play them... and a Nolan Ryan Starting Lineup Figurine. Very awesome. Thanks Nathan!